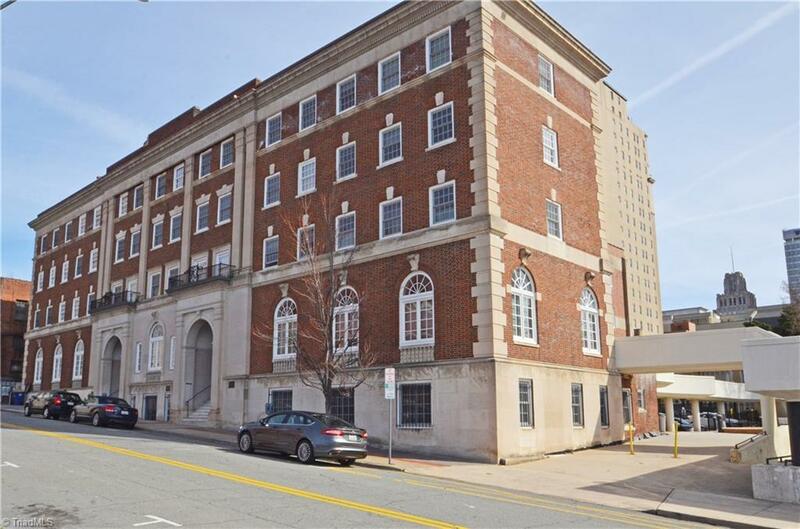 Outstanding location for this unit located in the YMCA Condominiums! 5th floor unit with secure entry and designated parking space across the street. Unit features low maintenance tile floors, updated baths, quartz counter tops in kitchen, and new heat pump. Second room is perfect for a home office. Refrigerator, washer and dryer remain. Right around the corner from restaurants and entertainment. Historic status qualifies it for a 50% property tax break.